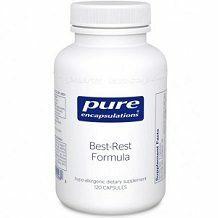 The following review is for a product called Best-Rest Formula. The product assists individuals to have vigorous sleep cycles by providing a simple transition to sleep and ensuring tranquil sleep. The product contains deodorized valerian root extract, which assists in sporadic sleepless nights. It is made up of valerian, passionflower, chamomile, lemon balm and hops, which relax the central nervous system. The product is promulgated as a facilitator of sleep and helps to expedite the process of falling asleep. The product, also, has ingredients such as vegetarian capsule, hypoallergenic plant fiber gum arabic, maltodextrin, ascorbyl palmitate and silica. GABA assists in the production of alpha waves, which occur in the brain and helps promote relaxation. The recommended dosage is 2 capsules which should be taken 30 to 60 minutes before going to bed. The manufacturers do not mention anything about food consumption prior to the dosage or with the dosage. The manufacturers of the product suggest that children, pregnant women and anybody with a medical condition should consult a doctor before consuming the product, which may result in additional charges. Consumers of the product are advised to not handle a vehicle or a machine when they have consumed melatonin. The product should only be used before going to bed as it may have sedating effects. The product contains chamomile, although, chamomile does not suit people who are sensitive to botanicals from the Asteraceae group. Also, the Valerian extract is affiliated with clear dreams. The Melatonin is contraindicated in depression. One customer of the product reported ventricular tachycardia. The Best-Rest Formula is sold in two containers. The container holding 60 capsules costs $27 and the container consisting of 120 capsules is $47.80. The prices aforementioned are listed on the manufacturer’s website. The purchase of the product on the company website is only permitted to health practitioners. If regular civilians would like to purchase the product, they have to locate a health practitioner to purchase from them. Alternatively, they should search websites other than the manufacturer’s to purchase online. The manufacturer does not list any guarantee for the product. This means that if the product does not work for you, you will have no recourse to get your money back. It also implies the level of confidence the manufacturer has in their product. 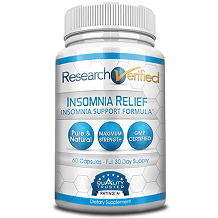 The Best-Rest Formula assists individuals who are deprived of sleep to get tranquil sleep and to ensure that their sleeping process is expedited. One customer complained about ventricular tachycardia, as well as several cases of people getting headaches and feeling dizzy after consumption. No guarantee is offered on the product.